The Original Trail Blazer: 50" Width. 45 HP. 25" Tires. 9.5" Travel. 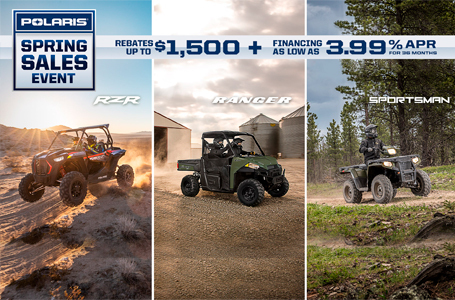 The ideal balance of power and agility for a true RZR® experience conquering width restricted trails and beyond. 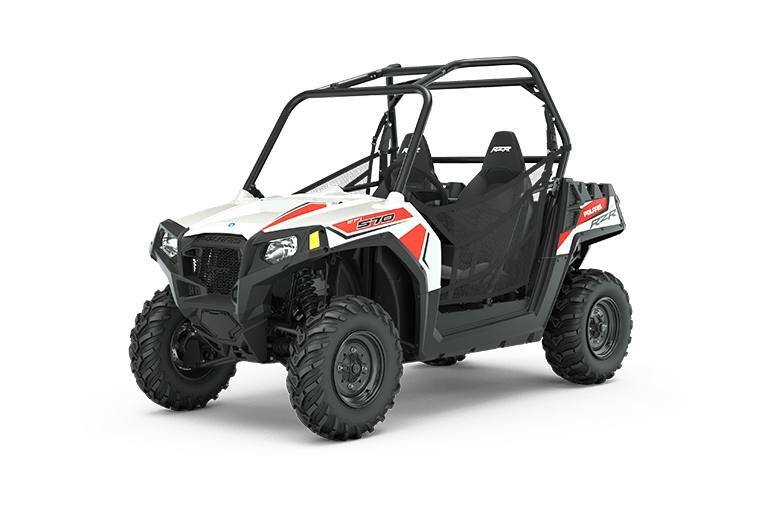 Compact Punch: The ProStar® 570 engine has been specifically engineered to deliver optimum horsepower, torque, and acceleration for 50" trails. The intelligent design allows the ProStar to pounce with instant corner-to-corner acceleration, yet deliver maximum fuel-efficiency for all-day range. Devour Rocks & Ruts: Conquer harsh trails with 9" of true suspension travel. Traverse stumps and rocks with 10.5" of ground clearance and avoid others with the instant response of our 50" trail-width chassis design. Corner Control: Our 50" chassis is more than just compact in stance. Our vehicles combine a lightweight design, refined suspension geometry, and the industry's best True On-Demand All-Wheel Drive (AWD) system for instantaneous delivery of power to the wheels that need it most. 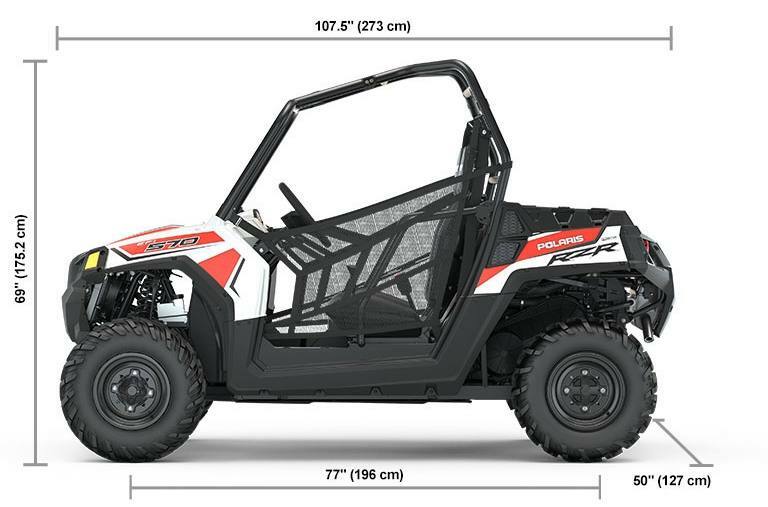 The result is unmatched control and agility across any terrain and the tightest trails.